Can you let me know if the neurotherapy treatment is working for your son? I have a 7 years old who finds it hard to focus in class. I’m considering this treatment for him. It is a huge investment for us as the assessment is $1000 and will require 2x weekly visit at a cost of $300 per week. You can see that if he does this for 3 months, it is a big expense. I would appreciate any information you can give about the effectiveness of this type of therapy. I’ll be glad to answer. 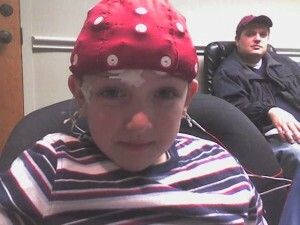 Neurotherapy is working for our son. While we haven’t seen huge “wows,” we have seen improvements in many areas. For instance my son is sleeping better through the night, he has more stamina for the back-and-forth of conversations, his eye contact stamina has improved and we’ve seen many gains in social awareness lately, too. He’s about 2/3 of the way through the protocol created for him; I hope that we will continue to see gains and that they will stay with him after we stop treatment. Hope this helps as you make a decision.